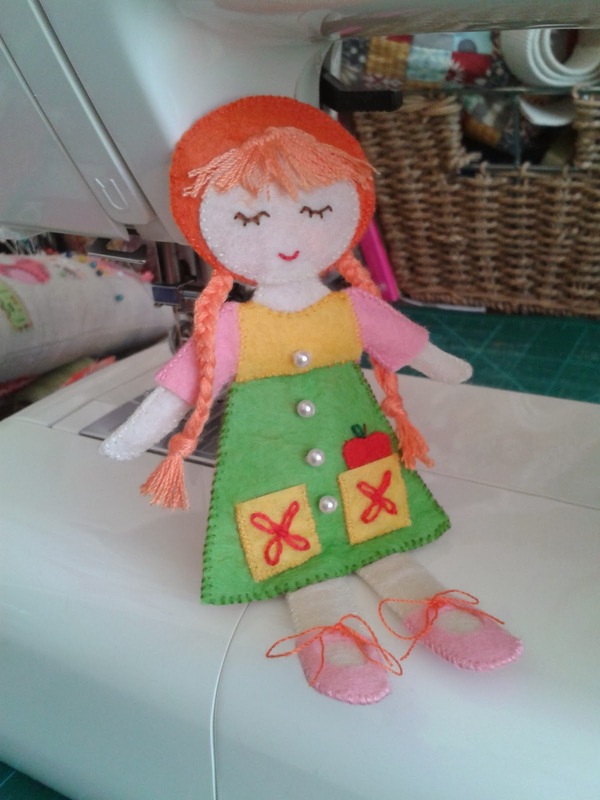 She was designed by Danielle Thompson of Kitschy Digitals and was free with Issue 34 of Mollie Makes. Another check off my FAL list. At this point I have to keep checking what's on there, I really should keep a written copy of the list somewhere so I can see it! At least four of them are going to roll over to Quarter 2 anyway though. I have some commissions and a lot of small things to make in the next few days. 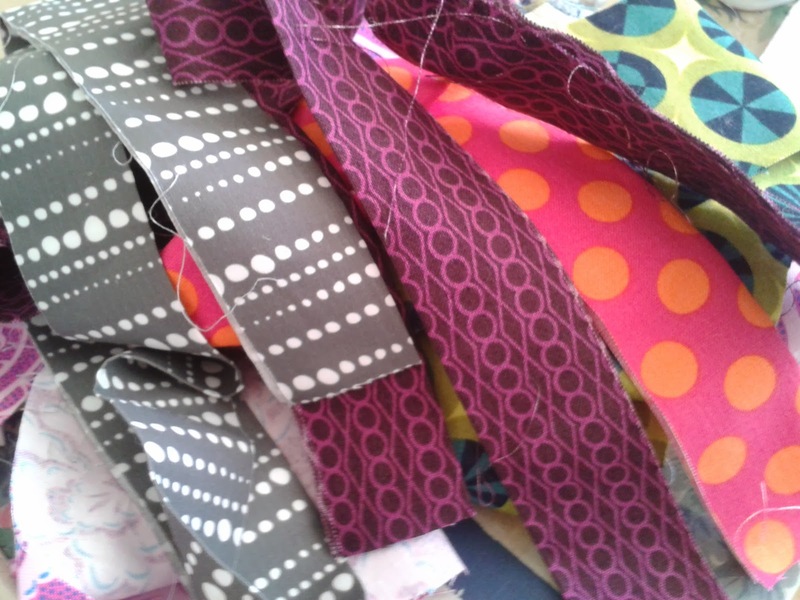 On 22nd March I am going to have a stall at a craft fair with my mum so I am planning on turning all these bits of leftover binding into lanyards to sell. I always make too much binding, since I'm doing it anyway I like making extra for scrappy bindings or small projects. I am going to need to get making quilts though because I won't have any left after this! Very cute and very wise to keep her for yourself. Hope the craft fair goes well. love your mascot, she's adorable. You are the cutest girl ever. A mascot to guard your stash? Brilliant. What a great time you'll have with Mom! That's going to be awesome! A cute companion, happy,peaceful and does not give you grief or backchat! What a little cutie. Good luck at your craft fair! Your mascot is adorable. I'm sure she is very good company. This is a fun mascot. I am sure we have all made something for someone else that we have kept for one reason or another. 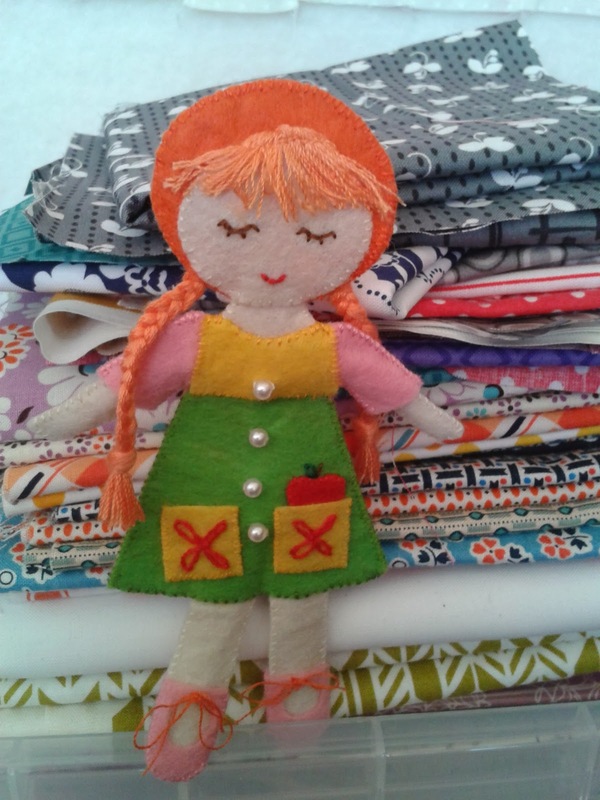 A sewing mascot sounds like a good idea - I hope she's good with the pom-poms and cheers! Lanyards are a great idea for left over binding. How did the craft fair go?